On Friday I was over on Instagram Live with another mini masterclass, sharing my top tools and tips for creating beautiful visuals and graphics for your brand. In today’s post, I’m sharing it all with you along with a few extra bonus resources! First up, before we dive in, let’s talk about why creating beautiful graphics is so important. Every time you create a piece of content and share it on any of your channels, a visual web of your brand is being built. Visual branding plays a huge role in not only attracting your dream clients; but also in making you memorable and positioning YOU in their mind as being the person who can help them! So when they have a problem that you can help them solve - you will be top of mind as the person who can help. Research has shown that when people hear information, they're likely to remember only 10% of that information three days later. 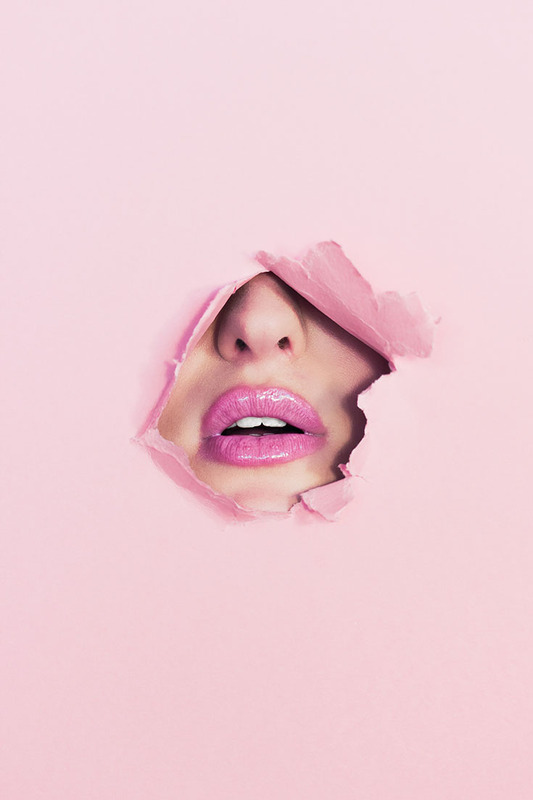 Being intentional about the images and visuals you use on a daily basis will help you cultivate a brand that cuts through the noise and connect with your dream clients. 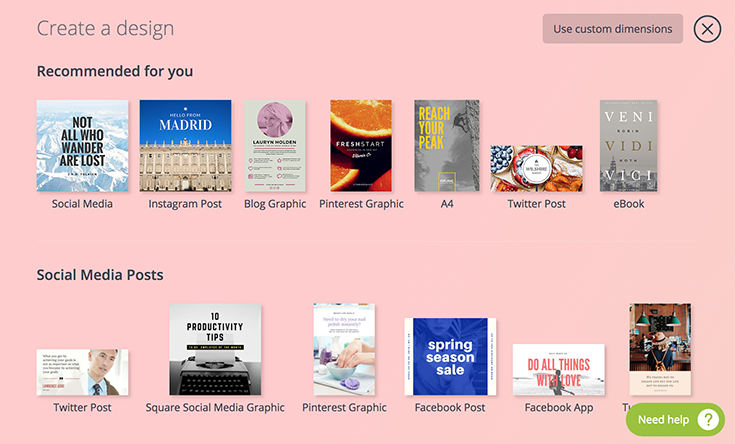 Ok, let’s get to the fun part - here are the the top tools to style your online brand. Best stock photography and image resources. Apps for photo editing and creating graphics. I love Canva - it is so easy to use and allows you to create beautiful, professional looking graphics for any of your online platforms including social media, blog and website. It also allows you to create graphics for things like eBooks, business cards and marketing collateral. If you’re not up for using Photoshop, I always recommend Canva as being the best alternatives as they have an incredible range of templates that are super easy to customize with your own fonts, colors and images. And if you want to get creative, you can easily design your own graphics using their fun drag and drop elements to style your creations. The free version is brilliant; but what I love about the paid version is the ability to upload your own fonts and then being able to organize your designs into folders - this is super helpful if you’re creating a lot of graphics and want to keep your files nice and orderly! I swear, Creative Market is probably my favorite online store. I love that you can find pretty much any kind of design resource on here with everything from fonts, social media templates, icons, illustrations and SO much more. It’s literally a biz owner’s mecca with everything you need to help you create a beautiful online brand. 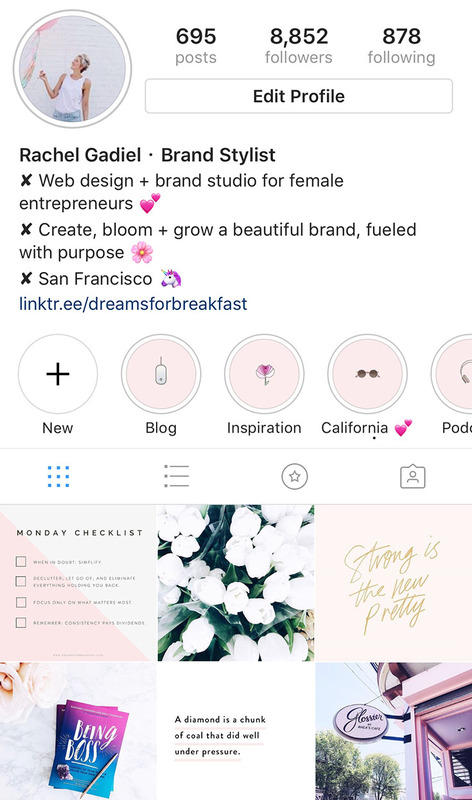 How do you create beautifully styled Cover Photo Highlights to appear on your Instagram profile? Creative Market makes this super easy! Choose the icons you want to appear on your Instagram Highlights. Jump onto Creative Market and do a search for ‘Icons’. Find the icons you like and then create an Instagram Story with them in the middle of the Story (Instagram Story dimensions are (1080 x 1920) - hint: use Canva to create these! Post your Story to Instagram. Select from your Stories which one you want to appear as the Cover and position. Rinse and repeat for as many different Highlights you want to add! Stock imagery & photography resources. Beautiful, quality images are an absolute must for creating a powerful and purposeful brand. These days there are tons of resources out there, both free and paid to help you find the perfect images for your brand. So, I’ve rounded up the top resources to find stylish images for your brand. For any paid products you’re creating like eBooks and digital products, I highly recommend investing in some good quality images. For blog posts and social media, it’s totally fine to use free images, however my only caveat being that popular images will likely be all over the internet, so if you’re after something more bespoke it’s worth investing in some paid images. Image from Unsplash: the best free stock photography website. The best Stock Photography Resources. Apps for Photo Editing & Graphics. It’s easy these days to take really average-looking photos and completely transform them into something amazing, simply by using photo editing apps. There’s a ton of apps out there that do similar kinds of things, but I thought I’d share the two I use regularly (and love) and another couple that I know are great tools. In terms of choosing the best apps to use if they have a similar functionality, it mostly comes down to personal preference and which ones you find easy to use. For me, this is VSCO cam. I use it daily to edit my photos, so they are all visually cohesive. There’s a free version, but you also have the option to download additional filter packs. A Color Story (created by A Beautiful Mess) is another photo editing app I love as they have some fun themed filters. My favorite filter pack is by The Glitter Guide. As with VSCO cam there’s a free version, but personally I think the best filters are in the paid packs. Afterlight and Snapseed are two other photo editing apps available on iPhone and Android, which have similar kinds of photo editing features to VSCO cam, along with filters to use. As I mentioned, which app you choose all comes down to personal preference, so I recommend experimenting and testing out which ones you prefer! 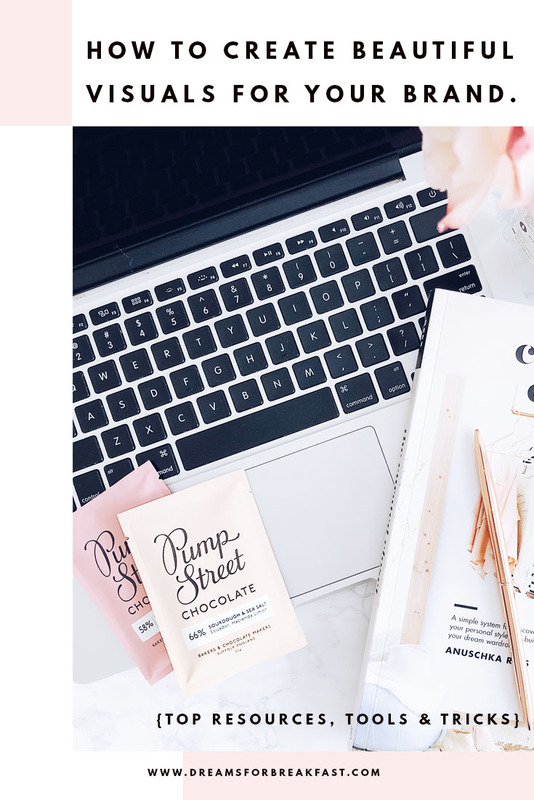 It’s important to note that when creating your beautiful visuals, it’s best to find the tool and filters you like and then stick to them as this will help you to create a super cohesive look for your brand. Taking it one step further, you don’t even need a computer to create these gorgeous visuals - they can all be done with the convenience of your smartphone. Got any favorite apps or tools you love and would add to this list? Let me know in the comments!